Human "Heart" is a muscular organ that performs the duty of pumping blood to all body parts through various arteries and receives blood from all body parts through various veins. Just like other body organs our Heart also needs proper care otherwise it may suffer from severe Heart Problems and some of them may lead to Fatal Consequences. So, it is better to take the proper care of your Heart than to suffer from fatal Heart problems like Heart attacks. Heart attack is the Death of a Segment of Heart Muscle caused by the loss of blood supply. A heart attack occurs when one or more of your coronary arteries become blocked due to build up of various substances including cholesterol, fats and sugar. 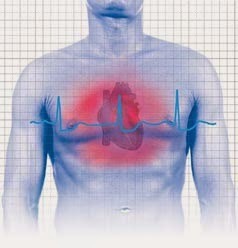 Another cause of a heart attack is a spasm of a coronary artery that shuts down blood flow to part of the heart muscle. Excessive use of tobacco products like cigarette and many kinds of other drugs, such as cocaine, can cause a life-threatening spasm. Before we proceed to the best ways to prevent heart attacks, Let's have a look on some basic causes and reasons behind heart attacks. The first thing you can do to prevent heart attach is to maintain a normal blood pressure. High blood pressure is one of the leading cause for heart attacks.Optimal blood pressure is less than 120/80 millimeters of mercury. If your blood pressure increase and cross the optimal limit then you may be at the risk of heart heart. Regular exercise, stress management and dietary changes can help decrease your blood pressure and reduce your risk of heart disease. Many people have high cholesterol levels and don't even know it. High cholesterol levels can lead to a heart attack or stroke. Extra cholesterol in the blood settles on the inner walls of the arteries, narrowing them and allowing less blood to pass through them to the heart. Aim for total cholesterol below 200 mg/dL; LDL cholesterol below 130 mg/dL and HDL above 35 mg/dL. 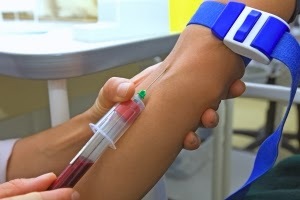 Get your blood tested to determine your cholesterol levels, in particularly your LDL or "bad" cholesterol levels. 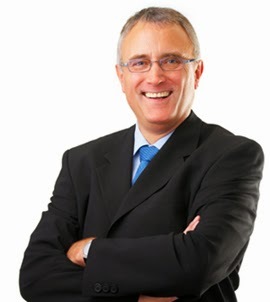 If you need to lower your LDL, work closely with your doctor to create a diet plan that is low in saturated fat, trans fat and cholesterol as well as an exercise program that will help you maintain a good cholesterol level. To prevent heart attacks you must maintain a healthy weight. In addition, if you are overweight, you are at a higher risk for developing other health problems, which can contribute to heart disease, including high blood pressure, high blood cholesterol, high triglycerides, and diabetes. 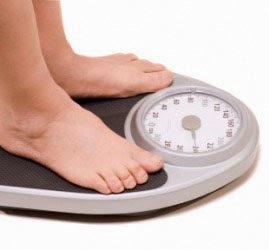 As we age, we are more susceptible to weight gain.Calculate your body mass index (BMI) to determine if you have excess body fat which really need to reduce to maintain a healthy weight for your height. A BMI of 25 or higher is considered overweight and is associated with elevated heart disease risk. However you can reduce your excess fat by making a proper diet plan and by following a proper routine of regular exercise. Diabetes screening is also essential to prevent heart attack. Since diabetes is a risk factor for developing heart disease, if you have a family history of diabetes then you must consider being screened for diabetes. According to a famous quote, "Care is better than cure". So if you have a family history of diabetes then you should consider diabetes screening even during 30's. 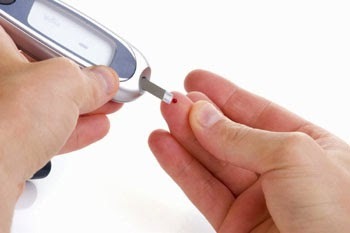 Depending on your risk factors, such as being overweight or a family history of diabetes, your doctor may recommend first testing you for diabetes sometime between ages 30 and 45, and then retesting every three to five years. Regular exercise and proper diet plan will help a lot to control blood sugar level. Smoking or using tobacco products is one of the most prominent and dangerous risk factors for developing heart disease. Hazardous chemicals in tobacco can damage your heart and blood vessels, leading to narrowing of the arteries (atherosclerosis). Atherosclerosis is one of the fatal problem of blood vessels that can ultimately lead to a heart attack. 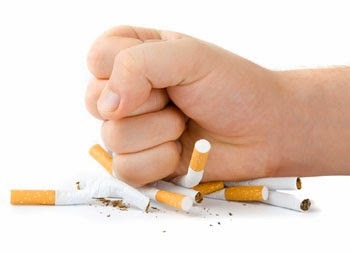 So to prevent heart attack you should strictly avoid smoking and all kinds of tobacco products such as cigarettes, cigars, pipes, or chewable tobacco. Exposure to second-hand tobacco smoke is also dangerous. According to recent research the risk of heart attack and stroke starts to drop immediately after a person stops using tobacco products, and can drop by as much as half after one year. 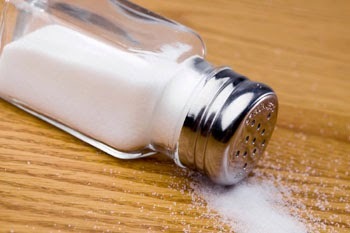 Eating a lot of sodium can contribute to high blood pressure, which is one of the main risk factor for heart attack. Reducing sodium in your diet is an important step to prevent high blood pressure and also prevents heart attack. The Department of Agriculture recommends: Healthy adults have no more than 2,300 milligrams (mg) of sodium a day (about a teaspoon). People age 51 or older, who have been diagnosed with high blood pressure, diabetes or chronic kidney disease have no more than 1,500 mg of sodium a day. Stress contributes to cardiovascular disease and, if severe, can cause a heart attack or sudden death. There are several ways that help reduce stress, such as regular exercise, adequate sleep, laughing, volunteering or attending religious services and try to connect with friends and family who provide emotional support. Try to avoid all situations and people who make you anxious or angry. In addition, maintaining a nutritious diet and regular exercise can also help to reduce the impact of stress on your health. A healthy diet plan is also an important way to prevent heart diseases. Eating a special diet called the DASH diet (Dietary Approaches to Stop Hypertension) can help protect your heart and prevent heart diseases significantly. Following the DASH diet means eating foods that are low in fat, cholesterol and salt. The DASH diet plan is rich in fruits, vegetables, whole grains and low-fat dairy products, which can help protect your heart. 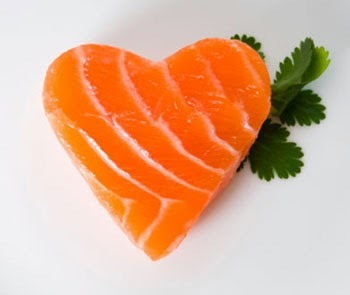 In your DASH diet plan you can include low-fat protein sources like lean meat, poultry(skinless) and fish(cold-water fish such as salmon, mackerel and herring). In addition, low-fat dairy products(skim milk rather than whole milk ) and egg whites are some of your best sources of low-fat protein. Besides them, beans, peas and lentils also are good sources of protein and contain less fat and no cholesterol. 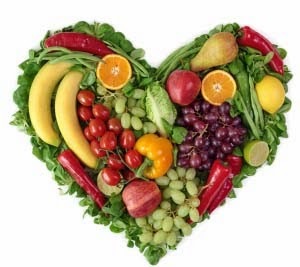 Eating fresh fruits and vegetables is one of the best natural way to prevent heart attack. Vegetables and fruits are good sources of natural vitamins and minerals. Vegetables and fruits are also low in calories and rich in dietary fiber which is really good for heart health. Besides this, Vegetables and fruits contain some specific substances found in plants that may help prevent heart attacks. Apples, apricots, bananas, blueberries, blackberries, strawberries, cherries, raspberries, pomegranates, grapes, mango, oranges, grapefruit, lemons, peaches, papaya, pineapple, plums, prunes, purple figs and watermelon are good fruits choices for heart healthy diet. Broccoli, brussels sprouts, green cabbage, carrot, cauliflower, kale, garlic, onion, spinach, green beans, green peppers, mustard greens, pumpkin and tomatoes are good vegetables choices for heart healthy diet. Limiting unhealthy fats and cholesterol is also very important to reduce the risk of heart attacks and many cardiovascular diseases. High amount of unhealthy fats and a high blood cholesterol level can lead to a buildup of plaques in your arteries, which causes narrowing of arteries (atherosclerosis), which can lead to heart attack and stroke. The best way to reduce saturated and trans fats in your diet is to limit the amount of solid fats such as butter, margarine and shortening. Replace your regular cooking oil with special Heart Healthy Cooking Oils.You can also reduce the amount of saturated fat in your diet by trimming fat off your meat or choosing lean meats with less than 10 percent fat. However monounsaturated fats, such as olive oil or canola oil and Polyunsaturated fats, found in nuts and seeds, are good choices for a heart-healthy diet. Heart disease is a serious medical condition that if left untreated can be fatal. Contact your doctor immediately if you think you may be at risk for heart disease or other conditions that increase your risk of developing heart disease such as high blood pressure, high cholesterol levels or diabetes.